There are various ways you can view your current keyword positions, a quick overview of your current keyword positions can be found opening up a category. You can then sort your data by clicking on the table headers at the top of the table, to sort your data from ascending to descending order or descending to ascending order. 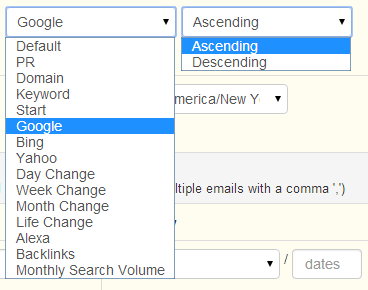 There is a search box you can use to search and filter your keywords/domains, and columns can be shown/hidden through your settings. A search bar is available to search for a specific domain or keyword.
) to the left of the row. At the bottom of the category page, you will find several options to view and export your data. 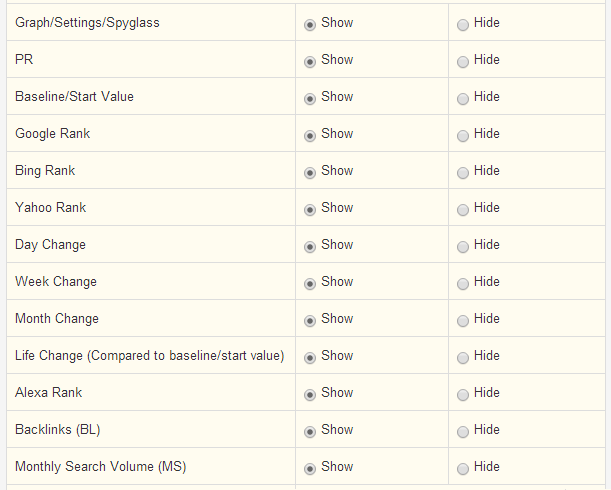 You can update your keyword rankings instantly, export keywords, edit your category notes, and view multiple charts.